Never skip toning your face if you have oily skin. Toners help maintain the pH balance of the skin, which fixes a lot of skin problems. What we are trying to say is – nip the problem in the bud; try a toner and see the difference it makes to your skin. Apart from that, toners also clear away any residue on the skin after you have cleansed it, and tighten the pores and refresh the skin. Toners keep those overshining foreheads and greasy noses at bay. Isn’t that what you want? Then, it’s best to incorporate a toner specifically designed to treat oily skin in your daily regime. Choose one from the list below. 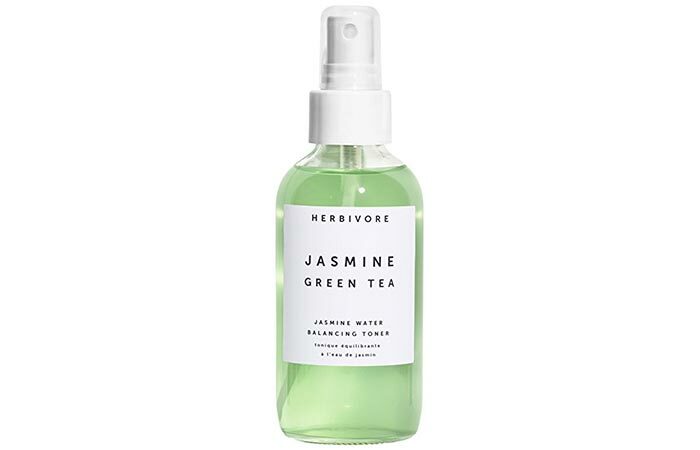 Herbivore Botanical Jasmine Green Tea Balancing Toner helps reduce excess oil production in the skin. The toner contains jasmine water and green tea that soothe the skin and reduce blemishes. 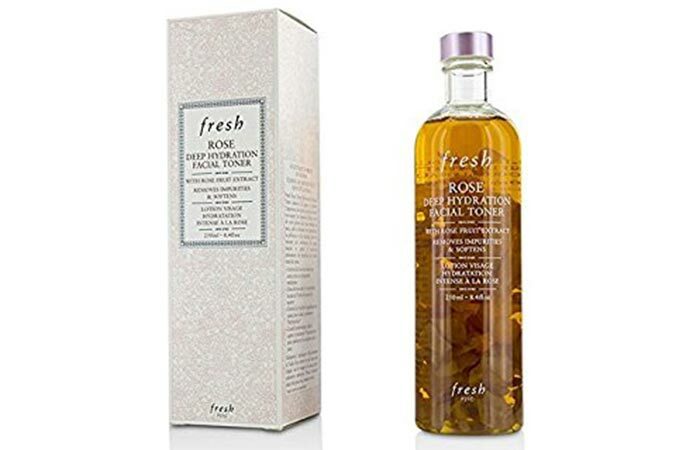 Fresh Rose Deep Hydration Facial Toner softens the skin, reduces the appearance of pores, and removes impurities from the skin. The toner contains rose fruit extract that fixes uneven skin texture and provides hydration to the skin. 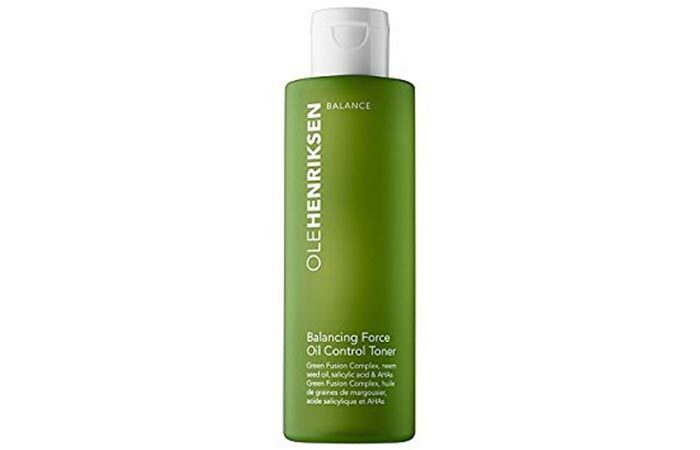 Ole Henriksen Balancing Force Oil Control Toner refreshes the skin, controls the production of excess oil, and reduces pore size. The toner contains salicylic and lactic acids that clear the skin of acne and blemishes. It also contains eucalyptus and kelp, which are antiseptic in nature. 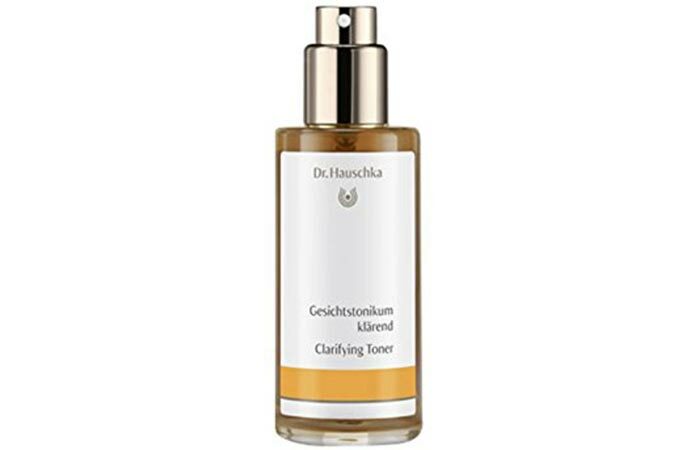 Dr Hauschka Clarifying Toner reduces the size of enlarged pores and blemishes. It refines and tightens the skin. The toner improves skin elasticity and helps the skin retain moisture. It has a balancing effect on the skin. 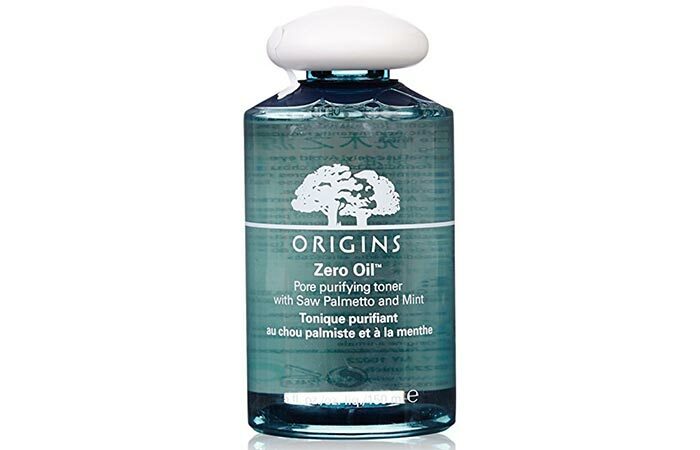 Origins Zero Oil Pore Purifying Toner removes excess oil from the skin without overdrying it. It reduces breakouts and makes the skin feel refreshed. The toner contains palmetto, mint, and salicylic acid, which reduce excess shine and improve the skin texture. 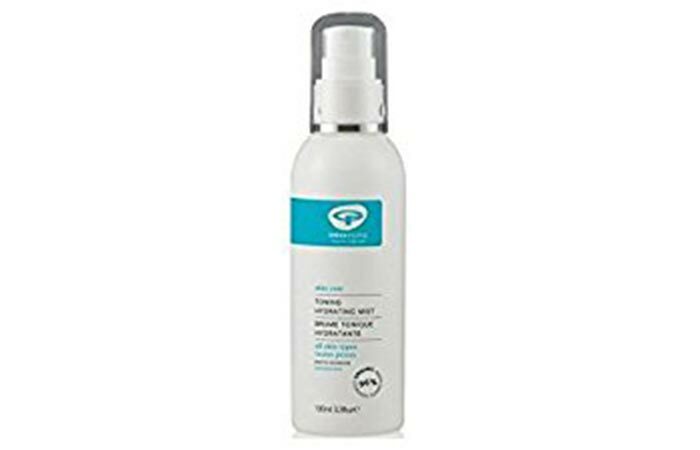 Green People Toning Hydrating Mist rejuvenates the skin and eliminates impurities. It is cooling and refreshing on the skin. The toner contains rose water and aloe vera extracts, which boost the moisture levels in your skin and soothe it. 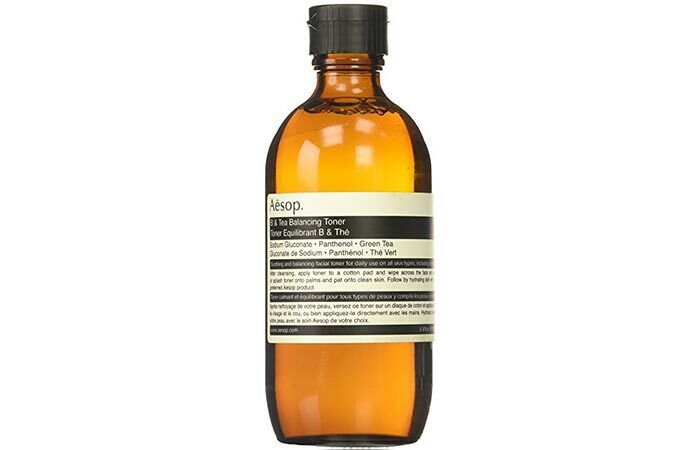 Aesop B & Tea Balancing Toner cleans the skin and protects it. It is hydrating and refines the texture of the skin. The toner contains Provitamin B5 and antioxidants, which balance the oil production. 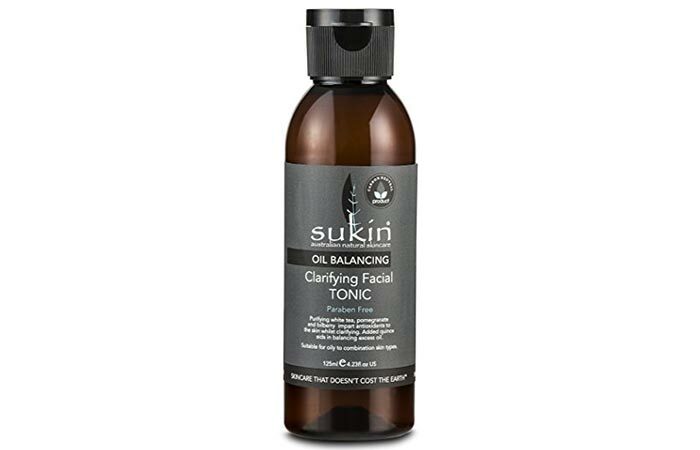 Sukin Oil Balancing Clarifying Facial Tonic balances excess oil production in the skin. It is purifying and clarifying. The toner contains pomegranate and bilberry extracts that soothe and calm the skin. It protects the skin from redness and breakouts. 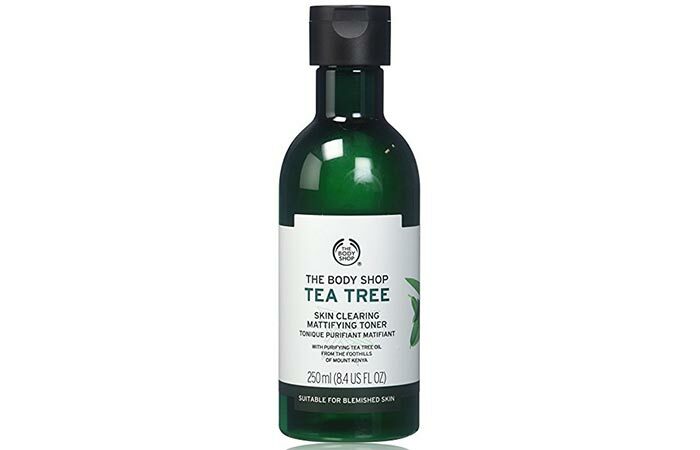 The Body Shop Tea Tree Skin Clearing Toner removes traces of dirt, residue, and the cleanser from the face. The toner contains tea tree oil, which fights blemishes and provides the skin with a matte finish. It also clears the skin effectively. Sisley Grapefruit Toning Lotion improves the skin’s appearance by clearing the skin and tightening the pores. The toner contains grapefruit extract that minimizes enlarged pores and purifies the skin. Toning is the most forgotten or skipped part of the CTM regime. Do not do that because it is a crucial step that prepares your skin for the next step in your skin care routine. 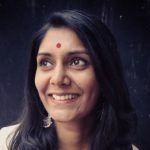 It is an essential tool for achieving healthy skin, and you must immediately pick one from the list of best toners for oily skin mentioned above and start using it. 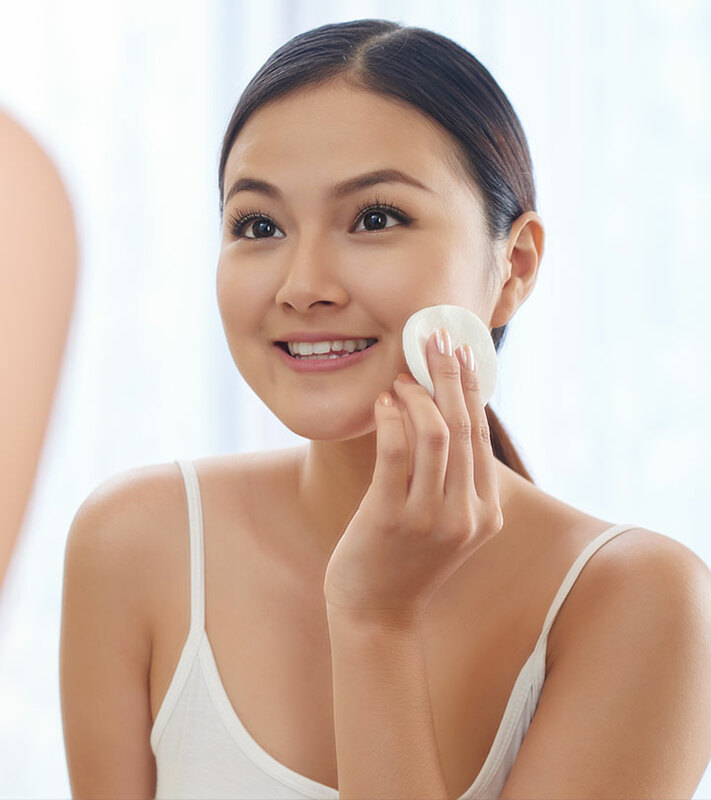 How often should I tone my oily skin? You must tone your oily skin every day, once in the morning and once in the evening, after cleansing your face thoroughly. How do I apply a toner? You can either dab it on your skin with your fingertips, use cotton pads or spray it directly on your face.